Yeah, I'm late to the party on this one, but I wanted to share some of what has been written in the blogosphere about Stephen Strasburg's elbow injury. His flexed elbow moves well behind his back and reaches shoulder height before the ball. From there, he must forcefully externally rotate his arm to get the ball to driveline height. This causes late forearm turnover and increases the valgus torque that occurs during reverse forearm bounce. This is a risk factor for his ulnar collateral ligament. The second quote is included to give context for my analysis. Around the same time as my analysis, Kyle Boddy (then writing for Driveline Mechanics - the now-defunct SBN blog) compared Strasburg's mechanics to those of Pedro Martinez and Mark Prior. The three pitchers demonstrated striking mechanical similarities. Notably, Pedro Martinez pitched relatively injury free for most of his career until his age 34 season, the one exception being rather severe shoulder inflammation in 2001. Mark Prior, of course, was not as lucky. After initially injuring his shoulder in a baserunning collision, Prior suffered from a string of elbow and shoulder injuries. Some people blame the collision for his problems, and while it seems like a possibilty, it is impossible to know for sure. After Strasburg's injury, Kyle wrote two articles concerning Strasburg and elbow injuries in general. His first article (Elbow Injuries and What Causes Them (Stephen Strasburg Bonus Content!)) is a lengthy discussion of how horizontal shoulder abduction -- referred to as "scap loading" or "scapular loading" by some -- leads to increased horizontal adduction velocities that increase valgus stress in the elbow. He notes that while this clearly can't be labeled as the sole contributor to Strasburg's injury, it certainly played a role. Kyle's second article (Strasburg, The Inverted W, and Pitching Mechanics) attacks some misconceptions and naysaying about the reputation of the inverted W position. In his discussion, he brings it back to Mark Prior by comparing Prior's peak horizontal shoulder abduction position to Strasburg's peak horizontal shoulder abduction position. Finally, Eric Cressey offered his thoughts -- The Skinny on Stephen Strasburg’s Injury. Much of the article explains how important the health of the anterior forearm musculature (flexor-pronator mass) is in helping take valgus stress in the UCL. He briefly tackles overall tissue quality and links back to the great series he wrote on elbow pain. Cressey puts some of the blame on the inverted W, but he is quick to mention that mechanical quirks like that aren't always a sign of impending injury. A lot of people subscribe to the idea that a pitcher "only has so many bullets" in his arm. Cressey quotes J.P. Ricciardi and seems to agree with him. The idea is hard to argue with, since "so many bullets" could be 1,000 or 1,000,000 or even 1,000,000,000. How many bullets do I have? What's the best way to conserve my bullets? Can I get more bullets? If so, how? With a boiled-down, unexplained idea like this, people are likely to misapply it by any number of means. That could include keeping strict pitch counts to protect the arm but still pitching year-round without rest. 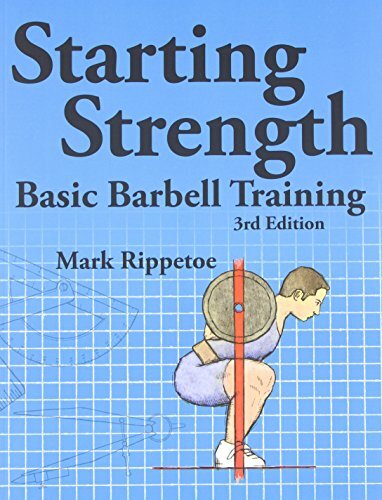 Alternatively, some people may wind up thinking that there's nothing they can do to extend the life of their arms and then neglect appropriate strength and conditioning. Cressey, however, applies idea very well in a brief discussion of how to save those bullets. If you haven't read his thoughts, you should. I have some of my own thoughts to share about Strasburg, but it may take me some time to pull them all together. Stay tuned.